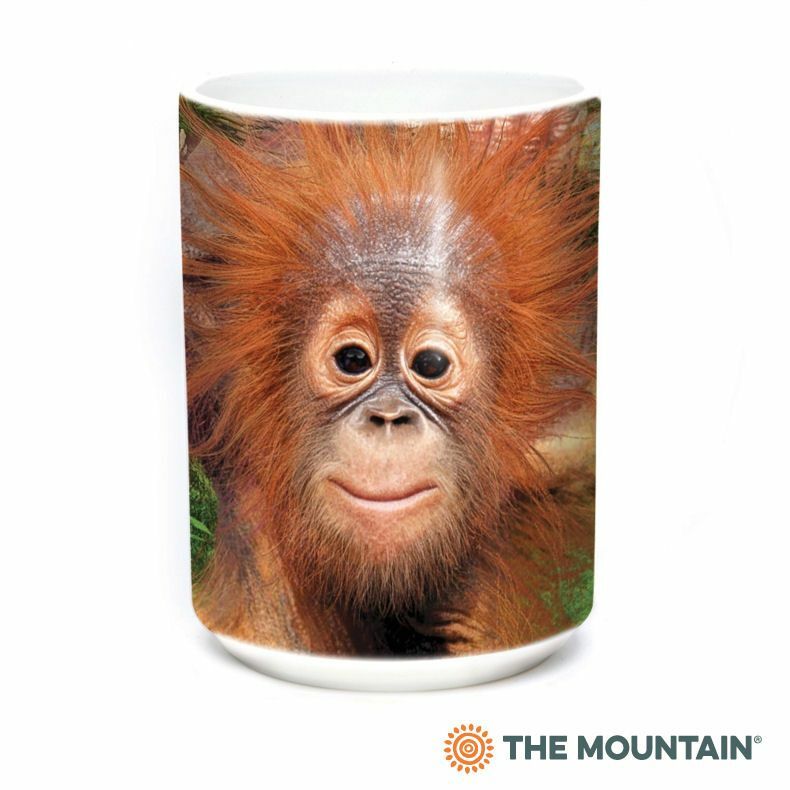 Monkey around wearing Big Face™ Baby Orangutan from The Mountain®. This is the Orangutan t-shirt you never knew you wanted until you saw it and now you must have it! 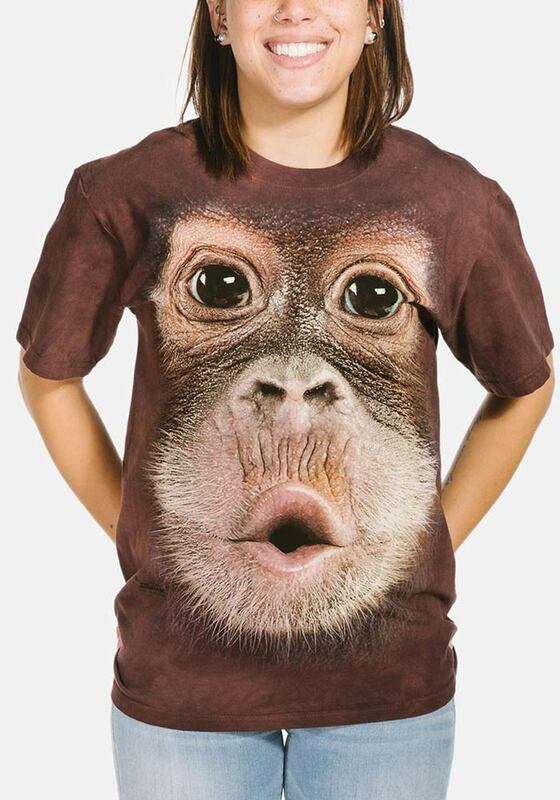 This realistic ape design is fun and you'll get some hilarious responses when you wear it! 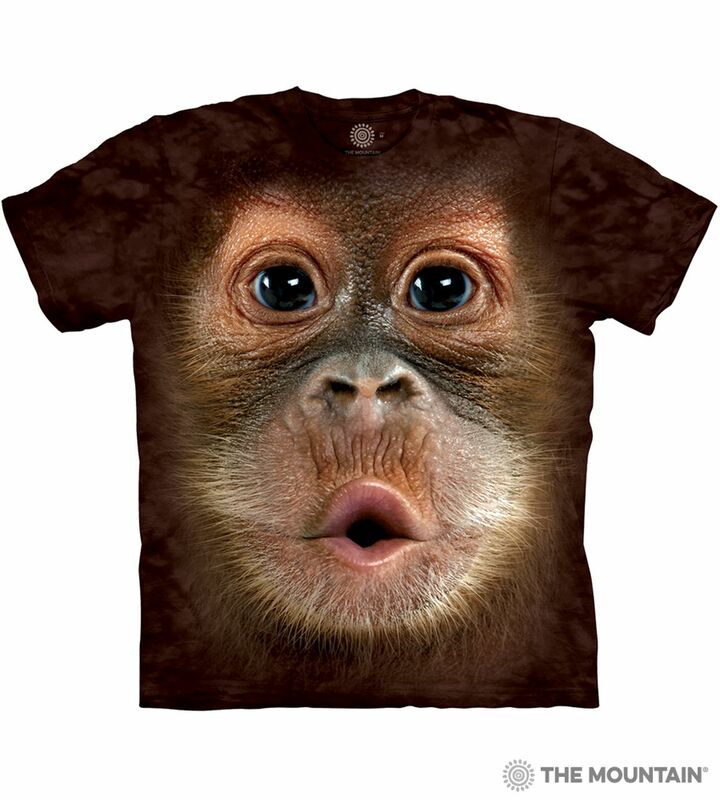 Pair this primate t-shirt with a pair of jeans or shorts and you're ready to go. Be prepared for all the attention you get wearing this fun and adorable shirt.